This month's winner will be sent the Your Next Stamp and a package of self-adhesive buttons. Check back tomorrow for July's Creative Inspiration Theme. Hello! 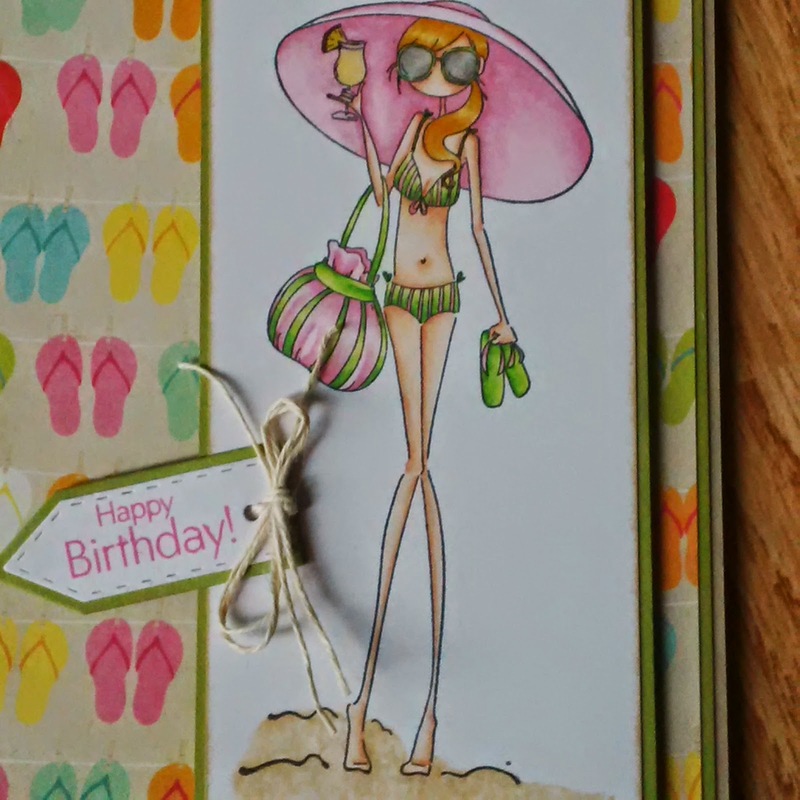 Saturday is here, and I have a bright summery card to share. 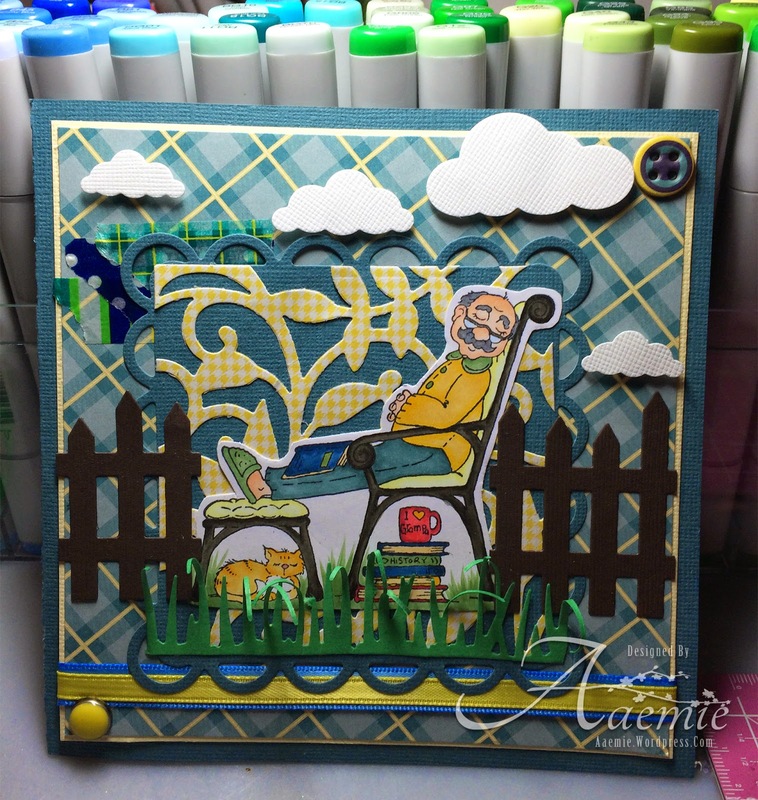 I got to play with my new zipper die by MFT and LOVE it. I also used an embossing folder to make the kite, and attached ribbons for the tail. School is out and summer has begun, I can't wait to enjoy some fun in the sun! Have a great day crafty friends!! I hope that you enjoyed today's card, have a great weekend! Final Post As A DT Member!! Another month is almost done, and summer is here. 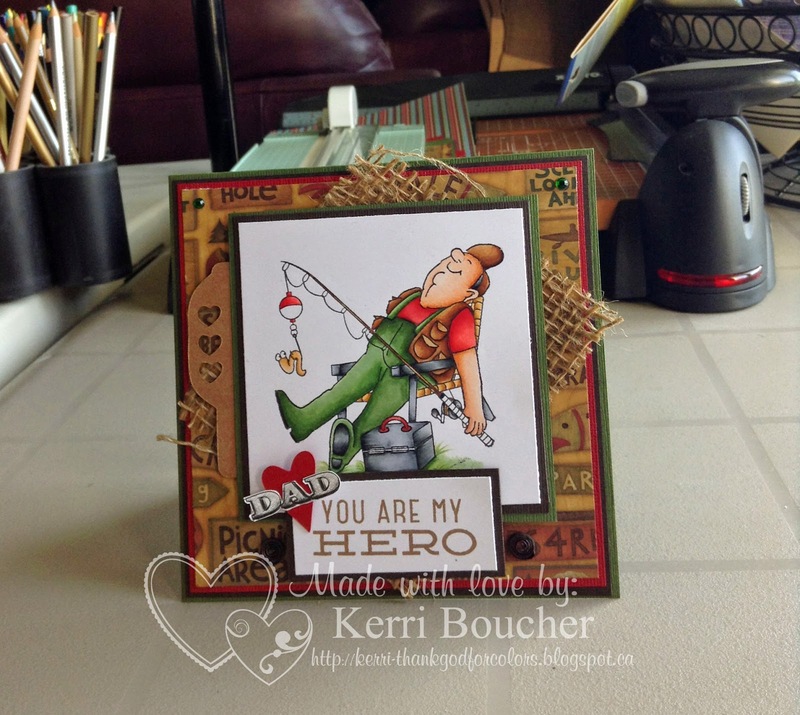 I attended some amazing classes on the weekend that were given by Jessie Hurley for One Crazy Stamper. As well as using Burt and Doris (High Hopes Rubber Stamps) and the Smooch Embossing Folder (Couture Creations), I used some Inka Gold and 3D Stamp Paint, both from Viva Decor. Using the tips of my finger, I rubbed a few colours of Inka Gold to the top of the embossing folder and then added some 3D Stamp Paint. There are still a few days left to enter this month's challenge for a chance to win a prize pack from One Crazy Stamper. For any supplies that you need, check out Lora's store for some amazing products and prices. Stay tuned for a new challenge starting July 1st and in the meantime while enjoying the summer keep crafting and have fun. Today's card features the super cute image Team Canada from High Hopes Rubber Stamps, that I have colored with my trusty Copic Sketch markers, then mounted on card stock and added a Canadian themed ribbon as a border to complete the card. Wishing you all the very best day and a fantastic Canada Day next week! 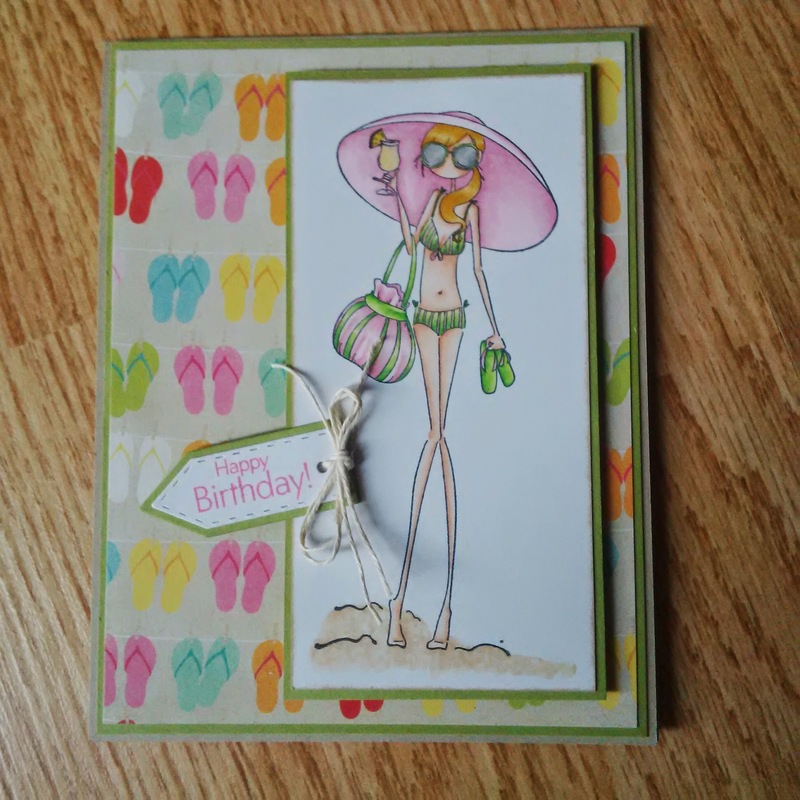 Today I am again show casing this wonderful embossing folder from Couture Creations called Confetti, last Monday I showed you one way I used it, and today, another way. Endless, and wonderful ways. I think now in the last few posts, I've used it three times. Our challenge this month is Anything Goes with a Splash of Glitter and a ribbon. I sure wish you could see the glitter, I still can't quite figure out how to take a picture showing the glitter. But it is there. I cut the white embossed card stock and along the edge used my wink of stella pen for some glitter also added it to the leaves. Then I embossed the red with the same folder add the leaves, sentiment and ribbon/button/twine. I used some glitter to go over the words in the sentiment also. I do hope you get time to play our challenge here at One Crazy Stamper. I hope you try using your embossing folders, endless ways. Thanks again, and for all your crafting supplies pop on over to the One Crazy Stamper store. Till next time, happy crafting. 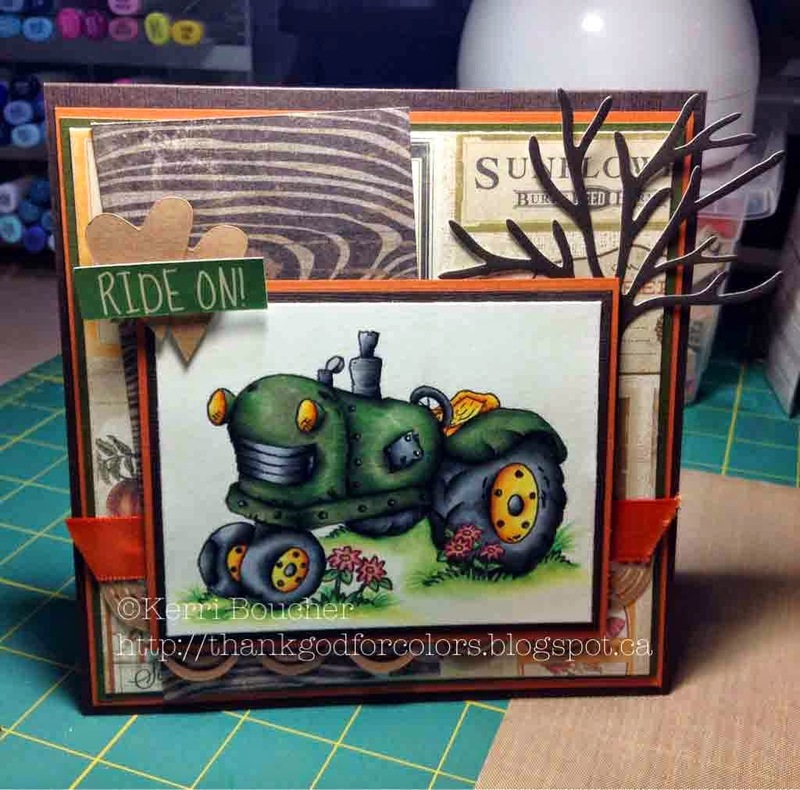 Hello friends, it's another spectacular Saturday here at One Crazy Stamper and I have something special to share, I wanted to make a card for my daughters JK teacher. She's a wonderful lady who helped make my daughters first year great and we wanted to say thank you with this card. I coloured with copics, used Smarty paper and SN@P pockets by Simple Stories, and got to use some cool cork sheets. Of course my mini me had a HUGE say in the design and choose the stamp, hearts, stars, bow and butterfly. Have a great day! I know I will, because I will be at the OCS store and getting crafty in a Jessie Hurley class!! Here is the fully decked out inside, the pocket will be for a letter from my daughter. Happy 45th Anniversary Mom& Dad! Hello and Happy Friday! Today I have a very special card to share with you. 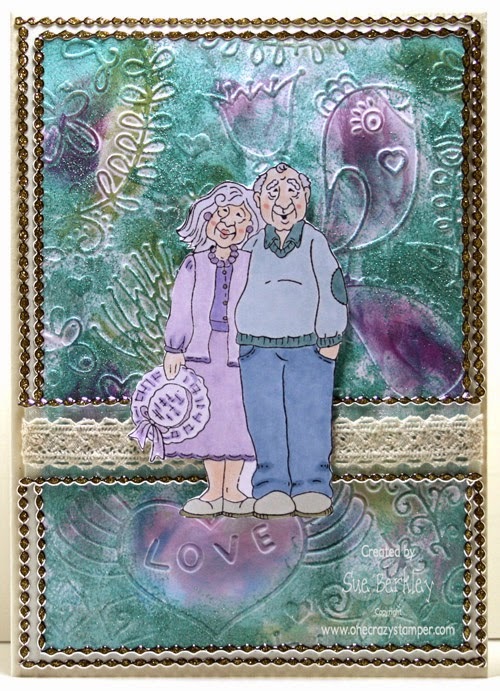 It is a card I made for my Parents for their 45th (Sapphire) Wedding Anniversary that they are celebrating tomorrow on the first day of Summer! I hope that you enjoyed today`s card. 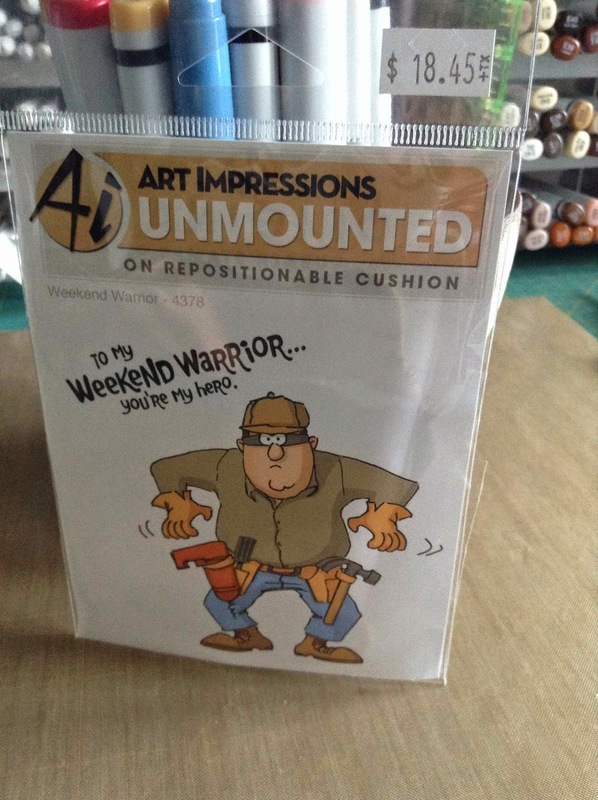 Happy Thursday to all of my friends...Todays card is an Art Impressions Image UMT4156..I coloured up this doozie for my Hubby for Father's Day...My Stefan wants to be this great fisherman but lets just say he never catches fish.. It does not matter what he does it a no go we tease him all of the time..This is usually what happens he gives up and then sleeps in his chair as well..I coloured the image with my COPICS and used minimal PRISMA PENCILS to shade..Stefan is proably one of the most remarkable people I have ever met..He always puts himself on the back burner and never asks for anything..He is loving, caring, understanding and never tell me no to buy Craft supplies..Now if that does not make him the best..well then you are crazy..All of the supplies I used for this card can be found over at ONE CRAZY STAMPER. I stamped this image using MEMENTO TUXEDO BLACK INK onto X-PRESS COPIC PAPER..Once again I coloured the image with Copics and shaded with Prisma Pencils..Image is an ART IMPRESSIONS UNMOUNTED..This is my second last post I will be leaving this amazing team due to health reasons..I had an amazing time being on this team and Lora is great to work with so many thanks to her for having me as long as she did..You can still enter our monthly CHALLENGE,,Our theme is RIBBON and a splash of GLITTER..My ribbon was burlap and my glitter is on the bobber..I hope you liked the card take care and be safe...HUGS!!! Wacky Wednesday has rolled around again and we are more than halfway through June,which means that the children will soon be out of school for summer holidays. For today's post I have used this adorable stamp from High Hopes called Sammy the Seal. As I wasn't sure what sentiment to add, I decided I would add the sentiment at a later date. I used the Sakura Stardust Pen Clear to add some glitter around the edges of the pinked circle. There is still time to enter this month's "Anything Goes with a Splash of Glitter and Ribbon" for a chance to win a prize pack from OCS. Lora's store has any supplies that you might need and then some. Hello Friends, and welcome back, wow this month is flying, summer so close I can see it. The embossing folder I am show casing today and again next week, you will have to come back to check it out. The company is Couture Creations - Confetti. I opened it up and inked one side and put the white card stock in, and into my big shot it went. I then just followed the pattern around a bit with my scissors. Added some flowers some dots another embossing folder and some ribbon. Oh and popped it up using 3D foam dots. The sentiment is from Wild Rose Studio - Flower Heart. Please enter our challenge One Crazy Stamper for the month of June it is Anything Goes plus Glitter and Ribbon. I wish you could see the glitter, but it is there around the edges and the sentiment is too, maybe if you zoomed in. Not sure how to make it so you can see the glitter. Thanks for stopping, make sure you pop on over to Lora's store and get yourself some crafting supplies. Till next time happy crafting. Supplies: Ribbon, Flowers, Glue Dots, Wink of Stella pen, 3D foam dots, Ranger Distress ink - barn door, dot embossing folder, Couture Creations - Confetti, Stamp-Wild Rose Studio - Flower Heart. This is For You Grampa! Hey hey my fellow crafty pals! 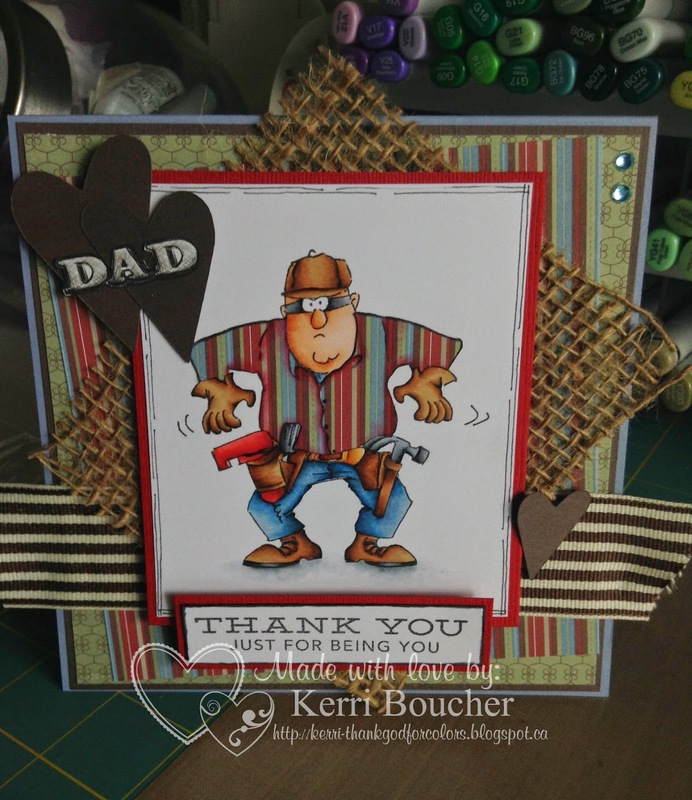 Since tomorrow is Fathers day, I decided to make a card for my grandfather. I created an outdoor scenery with a fence, grass and cloud dies. To give the grass a realistic look, I curled out the blades of grass. Have a great day and make it even better by entering our challenge for a chance to win some goodies! To create the tree on the card I took my E47 and G28 Copic markers and coloured right on the Embossing folder. Then with my Background piece of Copic Xpress It cardstock cut at 4 x 5 using a Q-tip and Copic 0 Blender I wet the paper where I knew the tree would be then quickly ran it through the Cuttlebug to emboss. The Copic colours came off the embossing folder and onto the paper and Voila! I hope that you enjoyed today`s card! Wacky Wednesday is here again, and rain is on the agenda for the day. 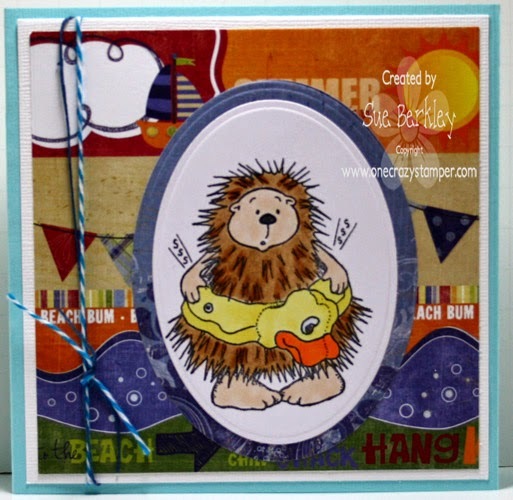 Summer is almost here and for today's post for OCS, I have used this adorable stamp called Poppie Porcupine from High Hopes Rubber Stamps. There is plenty of time to enter this month's "Anything Goes with a Splash of Glitter and Ribbon" challenge for a chance to win a prize pack from OCS. All supplies can be found at Lora's store. Until next time, have fun and happy crafting. This adorable dude is Loungin' Lou from High Hopes rubber stamps that I have colored with Copics, and then made into a nice clean and simple card. This is how every dad should be spending the day - just loungin' and relaxin'!! Wishing everyone a bright sunny day, and a special greeting goes out to all the dads out there - HAVE A GREAT FATHER'S DAY!!! Hello Friends! So glad you stopped, I have another High Hopes Rubber stamp I want to show you. Our Challenge this month is Anything Goes with glitter and ribbon at One Crazy Stamper. I also want to show you the embossing Folder from Couture Creations called Confetti. I added some glitter to the leaves and the flowers using my wink of stella pen. Darn it makes glitter fun to use. 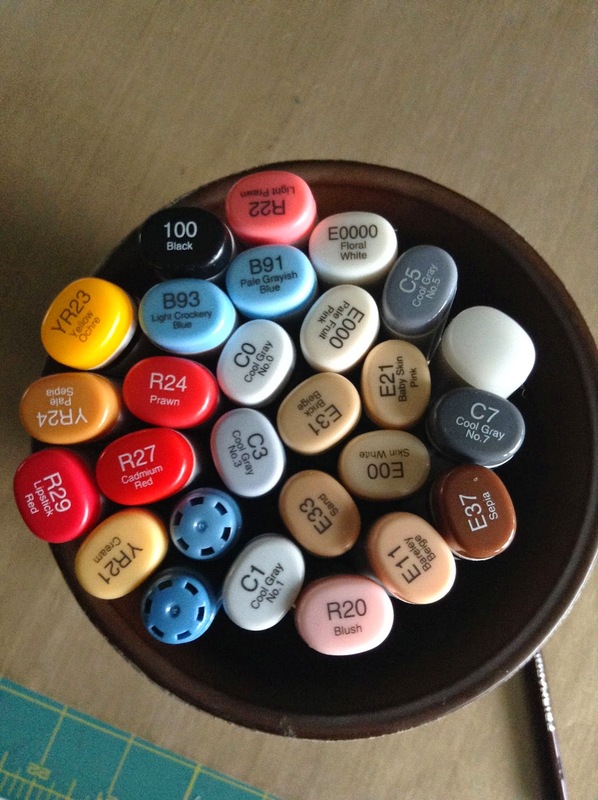 I used my copic markers E07, E08, E09, E29, E27, E25, BG05, BG07, YG17, YG97, YG95, W6, W5, W3, C1, C3, C5, C7. Thanks again, play along with the design team and pop on over to Lora's store for all your crafting supplies, tell next time happy crafting! Off to the Farm we Go!! Wishing You Showers of Love!! !